It’s been announced that Google have acquired BeatThatQuote, a UK financial comparison website for £37.7 million pounds. Compared to some of Google’s other acquisitions over the past few years, this isn’t a huge one in financial terms, but it is a very big deal in terms of ethics and a perceived conflict of interest. 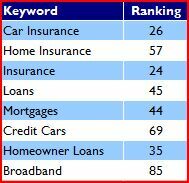 The insurance comparison market is huge, and it costs a lot to play – some of the top aggregators are investing upwards of £1 million per month in paid search traffic, and considerable amounts on SEO and other activity such as rev share partnerships with newspaper websites (a major tactic of BeatThatQuote). When you have a market that is so costly to operate in, competition is huge, and any advantage is important. The fact that Google now own BeatThatQuote will raise a lot of heckles within the industry. Any improvement in rankings in natural search will be highly scrutinised, and questions about whether there is a level playing field in the paid search results will be asked. Aaron Wall has already called into question some of the link building activity that BeatThatQuote have engaged in, and there is plenty of discussion going on on Twitter about whether Google will treat the site any differently to other sites in the same vertical. Google’s don’t be evil motto has been called into question a lot over the past couple of years as they have grown into an effective monopoly, and in all honesty, they do tend to do the right thing more than the wrong, however I do believe that this purchase is a big mistake. If natural search rankings improve for BTQ, people will call their impartiality into question. If BTQ appear in the paid search results, there will be a question over whether they are paying a competitive amount. There will be questions over what information Google are sharing about bidding strategies and traffic levels. And Google will find it difficult to answer those questions. Paradoxically, the only way that Google can prove that they are not providing BTQ with a competitive advantage is to undermine their own impartiality and give BTQ a disadvantage and remove them from the search results entirely – however this could cause problems with any companies who have paid for long term tenancies on the website. I can see the advantages of Google owning a financial comparison website and the underlying technology and integrating that into their results, but what I can’t see is any possible situation under which Google could argue that promoting a financial comparison website in any way would not be a massive conflict of interest and negatively impact on their customers in one of their most lucrative niches. According to quite a few sources, it looks as though BeatThatQuote have seen a lot of their rankings (including their brand) penalised by Google. This isn’t the first time that Google have penalised one of their own websites of course, and also it isn’t the first time that Google have been pressed into taking action against a website after breaches of the Google T&Cs have been publicised in high profile places.